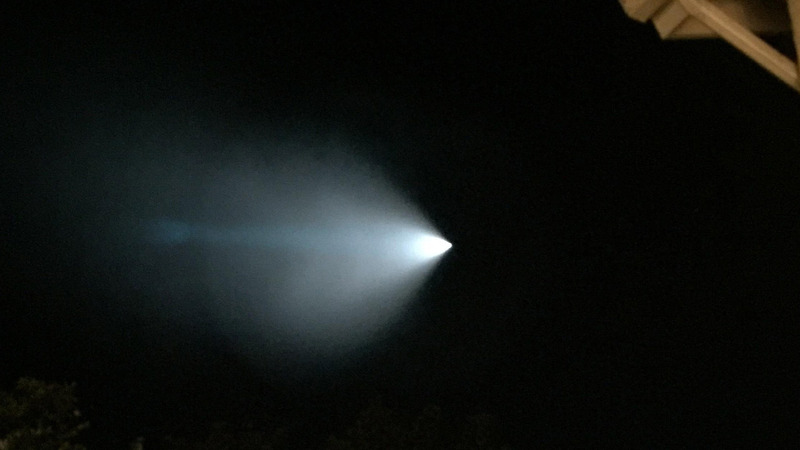 LOS ANGELES -- The Navy fired an unarmed missile from a submarine off the coast of Southern California on Saturday, creating a bright light that streaked across the state and was visible as far away as Nevada and Arizona. A Navy spokesman told The San Diego Union-Tribune (http://bit.ly/1Qm74Sn ) the Navy Strategic Systems Programs conducted the missile test at sea Saturday from the USS Kentucky, a ballistic missile submarine. Cmdr. Ryan Perry said the launches are conducted on a frequent basis to ensure the continued reliability of the system and that information about such test launches is classified prior to the launch. #OCSDPIO: Light seen in OC sky was confirmed through JWA tower to be a Naval test fire off the coast. No further details. The lack of information about the streak of light around sunset led to a flurry of calls to law enforcement agencies and lit up social media as people posted photos and video of the celestial sight. It wasn't clear whether the test was related to the rerouting of nighttime flights into and out of Los Angeles International Airport because of an active military airspace from Friday to Nov. 12. Flights usually arrive and depart over the ocean from midnight to 6:30 a.m. to minimize noise, but they will have to go over communities east of the airport. A message seeking comment from the Federal Aviation Administration hasn't been returned. The test was conducted in the Pacific Test Range, a vast area northwest of Los Angeles where the Navy periodically test-fires Tomahawk and Standard cruise missiles from surface ships and submarines.